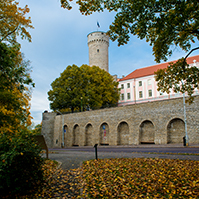 The Riigikogu passed with 48 votes in favour the Human Genes Research Act and Estonian Academy of Sciences Act Amendment Act (1056 SE), initiated by the Government of the Republic. The Act makes amendments to the regulation concerning the maintenance of the Gene Bank and transfers the rights of the processor responsible for the Gene Bank to the University of Tartu. During the first years, the activities of the Estonian Gene Bank Foundation were financed by the private sector, but in connection with changes on the world financial markets the Gene Bank has been financed mainly from the state budget since 2005. The Riigikogu passed with 47 votes in favour (1 abstention) the Food Act and Associated Acts Amendment Act (1086 SE), initiated by the Government of the Republic. The Act concentrates the supervision over the food stuffs field to the competence of the Veterinary and Food Board which is in the subordination of the Ministry of Agriculture. The Board takes over the relevant competences from the Health Protection Inspectorate and Consumer Protection Board, the first of which operates in the administrative field of the Ministry of Social Affairs and the other in that of the Ministry of Economic Affairs and Communications. The Riigikogu passed with 48 votes in favour the Involvement of Employees in the Activity of Community-scale Undertakings, Community-scale Groups of Undertakings and European Company Act Amendment Act (1089 SE), initiated by the Government of the Republic. The Act harmonises it with the relevant Directive of the Council of the European Union which makes amendments to the Statute of the European Company concerning the involvement of employees. The Act stipulates the legal mechanism for the involvement of employees in the European companies registered in Estonia which have been established according to the Regulation of the EU Council. The Act invests the employees of a company with the right to participate in matters concerning work life, which involve informing and consulting employees and in certain cases the participation in the activities of the company. The Riigikogu passed with 52 votes in favour the Border Guard Service Act (1046 SE), initiated by the Government of the Republic. The Act ensures the planned merger with the Schengen judicial area. In general the emphasis of the border guard and control is laid on the Estonian EU foreign border. The Act regulates the remuneration and pensions of the Border Guard officials, enables, in addition to the salary, to pay additional remunerations in accordance with officials’ ranks. 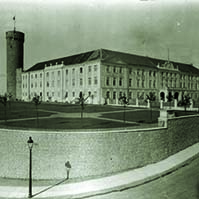 As regards pensions, the Act stipulates that the border guard officials who have worked in the Border Guard Service for 20 years, have the right to receive pension after they have attained 55 years of age, the size of the pension is 50 percent of their last salary or the most favourable salary from the previous five year period in an office where they worked at least 12 months consequently. The Riigikogu passed with 54 votes in favour the Customs Act Amendment Act (1073 SE), initiated by the Government of the Republic. The Act brings the Customs Code in conformity with the amendments made in the customs arrangements on the level of the European Communities. The Act specifies legal provisions regulating the submission of customs declarations and travellers’ declarations, in order to ensure clear understanding of the Act. The possibilities for depositing goods also extend. Pursuant to the Act in force, the customs authorities have the right to deposit goods which quantity or customs value does not pass statistical threshold, but in future this right will also extend to the goods which quantity or customs value passes the statistical threshold. In case of the goods subject to confiscation, a person has, in addition to re-export, also the possibility to destroy the goods under customs supervision or transfer them into state property in a case when the requirements proceeding from customs arrangements cannot be fulfilled. The Riigikogu passed with 39 votes in favour the Act on Amendments to the Act on the Ratification of the Convention on International Trade in Endangered Species of Wild Fauna and Flora (1020 SE), initiated by the Government of the Republic. The Act simplifies the making and withdrawing of reservations them regarding species which will be entered in the annexes of the Convention. The relevant right will be delegated to the Minister of the Environment. The plant and animal species which are endangered by international trade have been entered into the cited annexes of the Convention. Every Contracting Party has the right to make a proposal on entering species endangered by international trade in the annexes of the Convention or to propose to make amendments to the annex of the Convention. 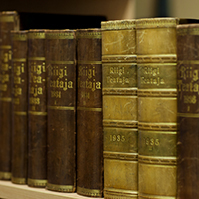 Pursuant to the Ratification Act, the Riigikogu must decide on each reservation and its withdrawal. The Riigikogu passed with 41 votes in favour the Act on the Approval of the Statute of the International Atomic Energy Agency and Amendments thereto (1083 SE), initiated by the government of the Republic. The Act approves the Statute of the Atomic Energy Agency and the Amendments to the document in 1999. 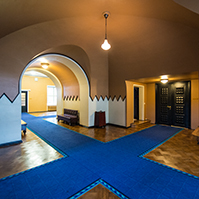 The Act was drafted because at the beginning of 1992 the Statute of the Atomic Energy Agency was approved without considering the domestic requirements for legislative proceeding, and on 2 January 1992 the Constitution of the Republic of Estonia had not entered into force yet. According to the practice of the time, any instrument of approval would have been preceded by a decision of the Government or the legislator. Pursuant to the Statute, the purpose of the Atomic Energy Agency is to accelerate and extend the use of atomic energy for peaceful purposes in the whole world and to ensure checking that atomic energy would not be used for military purposes. 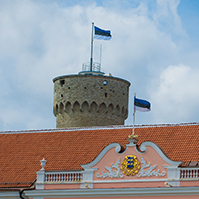 The Riigikogu passed with 42 votes in favour the Resolution of the Riigikogu The Estonian Environmental Strategy until the Year 2030 (1071 OE), submitted by the Government of the Republic. The Resolution replaces the currently valid Estonian Environmental Strategy until the Year 2010. The new strategy extends the temporal scope and creates a possibility that the purposes set in the environmental strategy could be further taken into account by the development plans of other fields (e.g. transport and energy). The Bill on Amendments to § 10 (2) of the Environmental Charges Act (1098 SE), initiated by the Environmental Committee. The Alimony Bill (1076 SE), initiated by the Government of the Republic. The Equal Treatment Bill (1101 SE) initiated by the Government of the Republic. 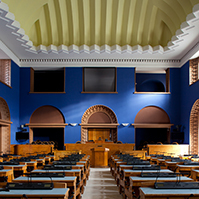 On the motion of the Estonian Centre Party Faction the Bill on Amendments to the Basic Schools and Upper Secondary Schools Act and Republic of Estonia Education Act (1088 SE), initiated by 24 members of the Riigikogu, was withdrawn from legislative proceeding at its first reading. The result of voting: 30 votes in favour, 17 votes against, 2 abstentions. At Question Time Minister of Culture Raivo Palmaru answered the question about the demolition of Sakala and financing of culture. Minister Paul-Eerik Rummo answered the question about the extension of possibilities for childcare. Minister of Finance Aivar Sõerd answered the question about the state finances. The sitting ended at 6.10 p.m.